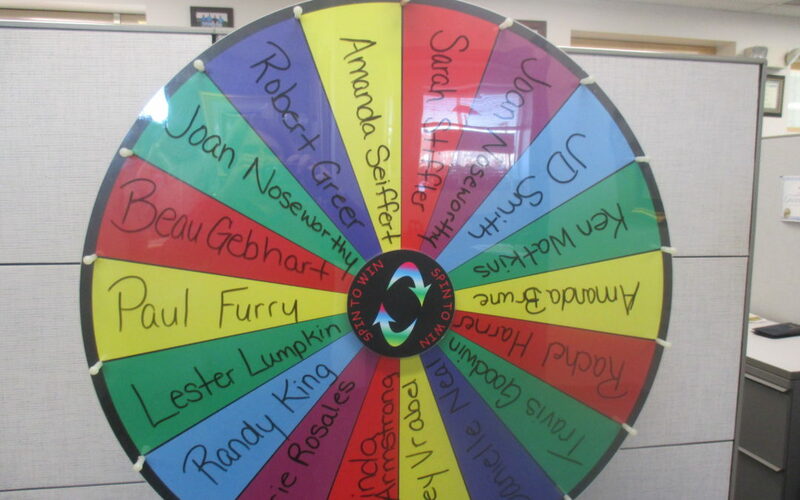 On Wheels Wednesday we spun the Referral Wheel for the $100 Visa gift card winner. The winner is Amanda Seiffert of Red Lion. Thanks for the referral, Amanda. Enjoy it! Thanks also to the following for their referrals: Melinda Armstrong, Tracey Vrabel, Danielle Neal, Travis Goodwin, Rachel Harner, Amanda Brune, Ken Watkins, JD Smith, Joan Noseworthy (2), Sarah Stiffler, Robert Greer, Beau Gebhart, Paul Furry, Lester Lumpkin, Randy King, & Carrie Rosales. Their $10 Rutter’s gas cards are in the mail. Milder temps are on the way for the weekend. Yay!